Mastercam is known for precision CNC programming, but it also delivers a suite of shop-tested design tools aimed at getting parts on and off the machine as quickly as possible. 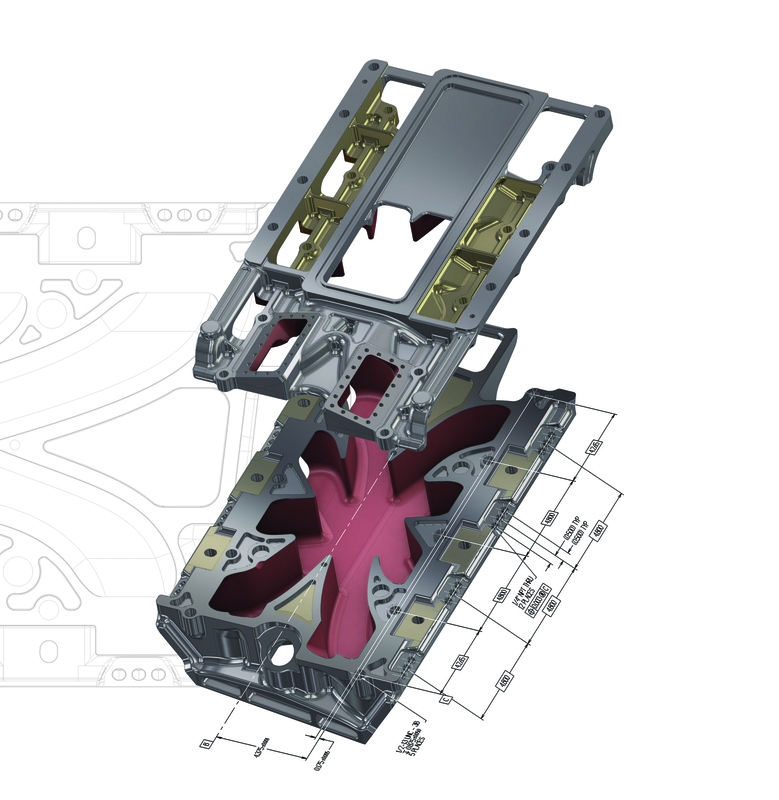 Powerful modeling tools include not only 3D surfacing and solids, but hole-filling, direct editing without a solids history, geometry repair, and much more. 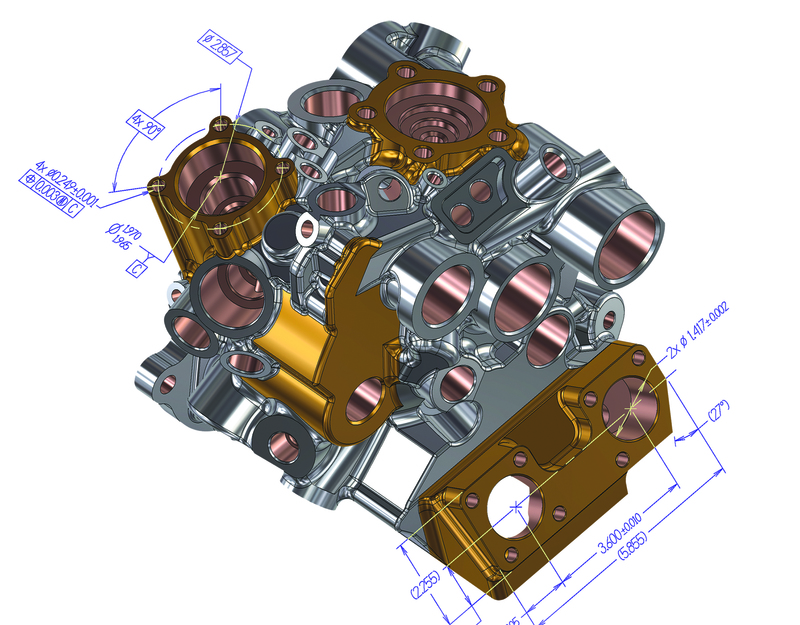 Mastercam Design streamlines and simplifies modeling and editing geometry. 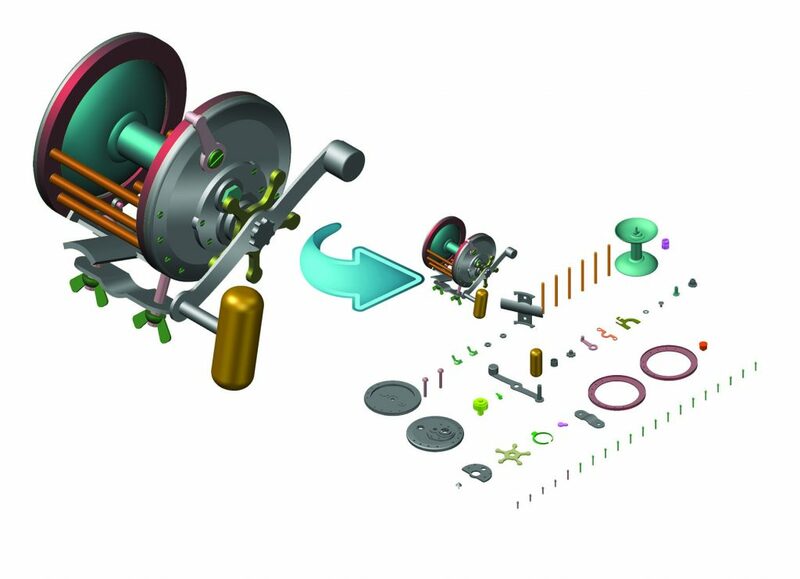 It also supports advanced geometry creation, including solid modeling, hybrid machining, NURBS curves and surfaces, 2D and 3D associative dimensioning, surface extension, blending, trimming, splitting, variable filleting, solid modeling, and hybrid modeling to complete your jobs quicker and more efficiently. To improve the creation of more complex wireframe functions and when creating or editing primitives, there are now on-screen sweep and rotate controls. These controls can snap to the AutoCursor positions of existing entities, including tangencies. Additionally, the controls recognize horizontal and vertical snap positions based on the gnomon orientation. Solid Sweep has more options and controls, and now supports 3D Along curves in addition to 2D. New alignment options have been added to control the alignment between your profile and the Along chains. Profile geometry now easily runs along sharp corners, giving you greater flexibility and precision when modeling. If any sharp corners are encountered, Mastercam miters them. Hole Axis is now easier to use with a large number of holes, especially holes with matching diameters that are selected as a group. New Direction options allow you to change the direction of the holes easily, and new Orientation options determine the direction of the top of the holes. To make Roll and Unroll results easier to predict, a new gnomon-based rotation control is now available, allowing you to visually rotate the seam to see how geometry will respond, as well as snap to AutoCursor positions. Easily translate from inches to millimeters, or from millimeters to inches, when using Scale. Align Note is now available as a Drafting function, allowing you to move existing notes and labels in a way that is more organized and easier to read. Mastercam®, is the first CAD/CAM software to reach 250,000 installations worldwide. The 250,000th seat was purchased by Stangl & Co. Prӓzisionstechnik GmbH, a division of Stangl & Kutzer Group, a precisions manufacturing company in Germany. This announcement celebrates CNC Software’s global community of Mastercam Resellers, users, and the world’s largest community for CAM support, service and expertise. With more shops using Mastercam than any other system, and more people choosing to learn Mastercam to secure their futures in manufacturing, this comprehensive reach is vital to future success. “This milestone demonstrates our total dedication to the needs of machine shops and the manufacturing industry. Our focus is always to provide the best CAD/CAM software, service, and support available to serve the needs of both the industrial and educational markets. Reaching our 250,000th installation shows the strength of Mastercam as a user-friendly platform to achieve speed, efficiency, and innovation in manufacturing now and long into the future,” says Meghan West, president and CEO of CNC Software, Inc.
Stangl & Co. uses high-level innovation in technology and manufacturing to make custom, precision parts from prototype to series production for industries such as automotive, motorsports, electronics, aerospace, medical technology, tool and mold making. As an international service provider to the vehicle industry, the company develops, constructs and manufactures working prototypes and future-oriented vehicles with lightweight, carbon structures and electric drive, including the Roding Roadster, a top-class sports car requiring highly precise manufacturing. “Mastercam is a high-performance CAM system that fully meets our various requirements, especially in 5-axis milling,” explains Stefan Kulzer, managing director of Stangl & Co. “Mastercam delivers a broad range of solutions for different types of machining, with excellent price vs. performance compared to the other CAM systems. And, InterCAM’s 25-year partnership with CNC Software and loyalty to their customers is the best proof of the Mastercam CAM system,” he adds. Andreas Stute, managing director of InterCAM-Deutschland GmbH, representing Mastercam in Germany, lauds the accomplishment and the fact that the 250,000th installation was purchased by Roding Automotive. Looking ahead from this achievement, Mastercam is positioned to remain the leading CAD/CAM software used by global, industrial leaders as well as small regional shops, educational institutions, and everything in between.